Click here to learn about our 1,000 Books Before Kindergarten Program! Free access to ebooks, audiobooks, videos, online magazines, newspapers, journals, and more. (Select Nash County Library from the drop down box). Perfect for book clubs: Home Grown provides free, unlimited copies and access—no waiting in line—for books, many with Reader’s Guides. Choose Nash County/Braswell Memorial as your library and read! Basic free online digital literacy training and topics. Click here to learn how you can help support your library! Monday, April 22nd for Easter. We have transitioned to a new library computer system: NC Cardinal! The new system required all library account PIN numbers to change. Your PIN is now the last four digits of your library account number. You can change your PIN to anything you like online by clicking on the My Account button in the library catalog, the Your Account tab above, or by asking any staff member. Why did we change systems? To better serve you! NC Cardinal will allow patrons access to over 6.5 million items from over 161 libraries in more than 40 counties across the state. You are able to borrow materials from any NC Cardinal library in the state! You can visit in person or you can place holds online and have the items delivered to YOUR pickup library! NC Cardinal will greatly expand the resources and opportunities available to you! Ask any library staff member for details! NRMS Students: Your Student ID Number gives you access to books and digital resources via any public library in Nash County.! Use your number online and in your library! If your ID Number is less than ten digits add zeros at the end to make it ten digits. The last 4 digits of your Student ID number (without the added zeros) is your PIN. This sounds great and I want to know more! 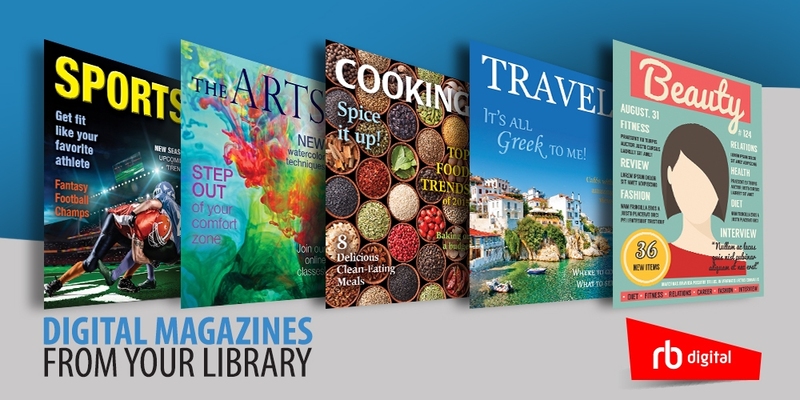 Braswell Memorial Library offers digital emagazines for your PC, IOS device, Android device, or Kindle Fire. Click on the banner above to set up your account and get reading today! You will need your library card number and an email address. Look for the "Create New Account" link in the upper right corner of the page that opens after you click on the link above. Type in your library card number. Enter your information into the form that comes up. Then click on the down arrow and pick North Carolina Braswell Memorial Library. You can then browse and view magazines or download a device app to download the magazines.